The CNC router has served the business well, turning out thousands of sign components over the years, maybe even for a decade or two. Like any technology, however, there has been a product enhancement evolution. While the older machine may still work just fine, it may be time for an upgrade, just the same. The newest versions of CNC routers feature hybrid technology that offer versatility, consistent quality and more productivity. Those capabilities go right to the bottom line. CNC routers are an integral part of many sign shops' asset inventory, alongside digital printers and sign stock coating systems. If they don't have their own CNC router, sign makers may rely on a job shop that does use them. Letters for signage cut out by hand 20 years or more ago is a quaint memory for many, replaced by the quality and consistency of the digitally programmed router. But is it time for an upgrade? Have sign making competitors that already made the investment in newer machines been able to achieve a higher level of productivity - a function of shorter lead times and sharpened pencils when it comes to quoting prices? What is "fit for purpose?" Older CNC routers may not be as reliable, durable and accurate enough to be used with today's variety of sign stock. Previous generation CNC machines are much slower during cutting and scoring operations than the newer breed, which affects the bottom line. 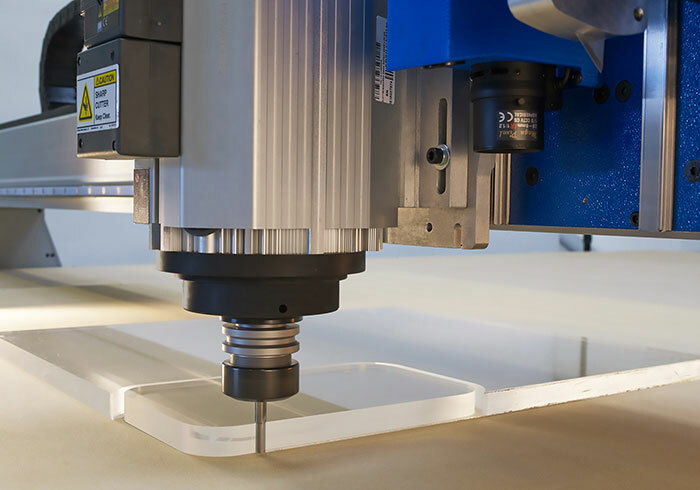 Today's CNC routers work at higher speeds and produce parts with smoother edges in many cases, meaning fewer post-routing finishing operations. Older machines require more passes, maybe three or more, to cut through an acrylic sign stock cleanly. With today's CNC technology, generally the cut can be done in one pass, at a much higher speed. Improvements in extraction methods to remove debris from the router path has much to do with that significant change. Employees might be spending an inordinate amount of time making repairs to keep an older CNC router in operation. Is anyone tracking those hours? Is cleanup time after taking pieces off the routing table piling up? To satisfy end user demands, the goal for CNC router manufacturers is to remove as much labor as possible from the operation of those machines. Look at the competition. When quoting a particularly complex job and competing against other production sign shops, are they using the latest CNC router technology, and does that provide them with an advantage? Consider the expertise of others. 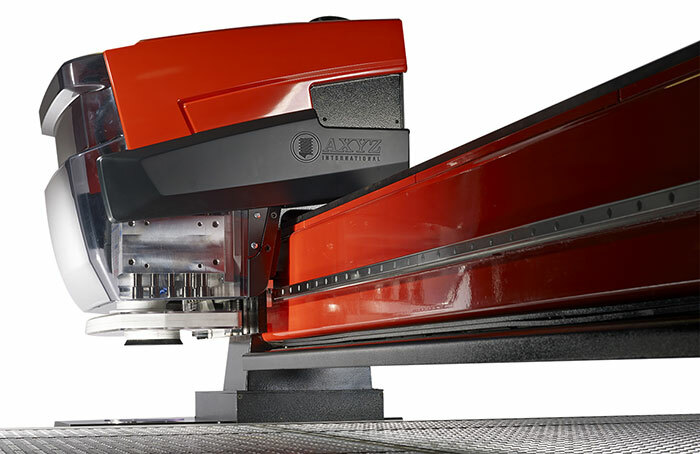 Work closely with the CNC router manufacturer and distributor to assess the pros and cons of upgrading and investing in newer technology when the determination is that the current equipment is no longer fit for purpose. Fit for purpose encompasses machines no longer compatible with today's software packages that deliver machine programs to the table. Much has changed over the past few decades, in large part based on feedback from those who purchased the first few generations of CNC routers. What were they looking for? What makes their routing and knife cutting operations more productive? What do they want from those machines? It's all about maximizing machine output without sacrificing quality. Today's CNC technology means router/knife cutting combination machines and camera registration to align printed materials. 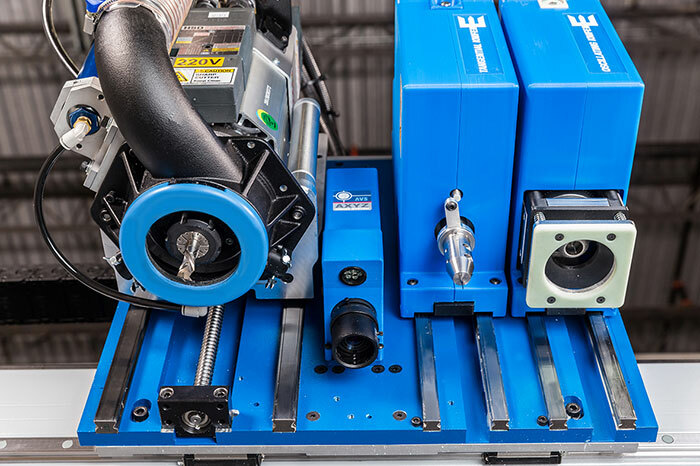 Also, a combination router/knife system allows for many types of materials (from rigid to flexible) to be cut, providing more versatility on the shop floor. This efficiency can result in an increase in the number of clients that can be quoted. The words "we can't cut that," should not be part of a sign maker's vocabulary with today's newer technology. In addition, for smaller sign shops a combination machine is a money and space saver, freeing up the shop floor for other operations. The newest technologies means direct drive servos (no belt or chain systems) for increased cutting accuracy and closer tolerances. Dual processing machines allow a single operator to load two jobs on a table, where each can be cut at the same time via automatic head separation, guided by the program. Automatic tool changers eliminate operator error, providing consistent quality as well. Localized head extraction removes debris and dust at the source, leaving a cleaner cut behind. That enhancement reduces the down time for additional cleaning between cuts. Now, controllers that can be updated via the internet with the latest software revisions provide for a multiple file import capability and nesting. Typically, older machines have less memory and can only store a reduced amount of digital information. In addition some of the newer CNC software packages are incompatible with older generation machines, which in some cases even harken back to the floppy disk era. That in itself may justify an upgrade, if files from customers cannot be received because the router's older controller can't accept the latest CAD programs. Updated vacuum systems can "zone" for the areas where the hold down on the routing table is needed. That maximizes the efficiency of the vacuum pump and can improve cut quality. Better cut quality of course reduces the need for manual post-routing cleanup operations that may be labor intensive and chip away at profitability. Some of the newer routers allow for multiple jobs and programs to be loaded on the same table. As the router cuts one job on the back end, other programs and the materials to be cut are loaded in a "batch mode" on the near side. Sign making shops that have upgraded to the latest in CNC router technology do not seem to be having many episodes of buyer's remorse. On the contrary, they report a high degree of satisfaction for the capital improvement made. In fact, many testify that the new machine has paid for itself in a year or less, due to increased productivity and faster routing times that has increased shop capacity. In some cases, that means businesses are able to invest in a second new machine on a faster timetable as the first one gets closer to being paid off. Over the past several decades, many sign makers have upgraded their operations by investing in a CNC router and the related technology as they strive to remain competitive and increase productivity. The newer models on the market, featuring tweaks suggested over the years by end user clients, can be very inviting. In short, today's CNC router technology is about where computers, cell phones or automobiles are now in comparison to 20 years ago - vastly improved. Make no mistake however: this is a big investment, and the end user should make sure they are comfortable with their CNC technology supplier before taking the plunge. Also important: with today's higher end technology the need for thorough training and perhaps ongoing support is a must. The post-purchase services delivered by the CNC manufacturer and distributor may be just as important as buying the machine itself. 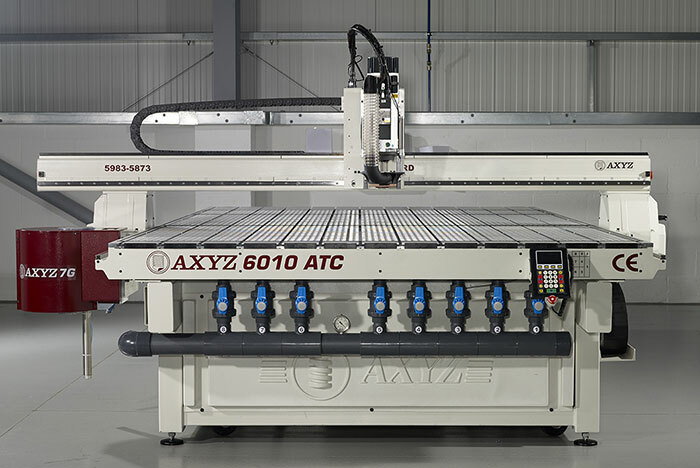 Whether or not to upgrade to a new CNC router is often a six-figure capital decision that should be made with care and with an eye to the future. Liam Hodson is a technical sales engineer for AXYZ International and is based in the United Kingdom. 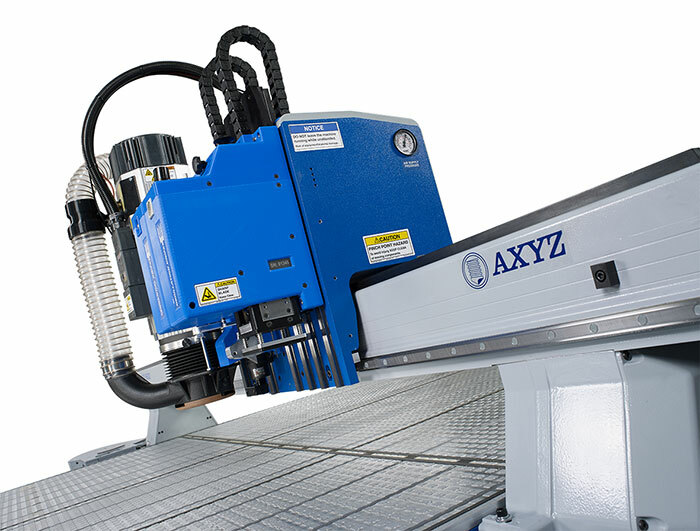 AXYZ International is a leading global manufacturer of CNC Router and CNC Knife Systems and maintains application development centers in the United States, Canada, the United Kingdom, Poland and India. For more information, please visit www.axyz.com and www.cncroutershop.com.